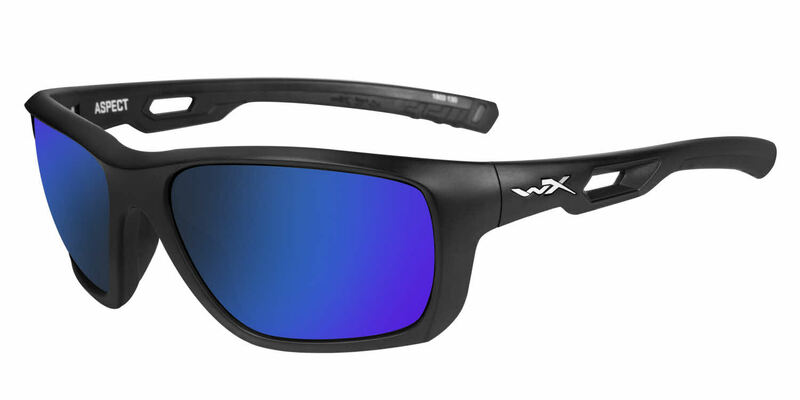 The Wiley X Aspect RXSunglasses feature the following logo: WX on temple. These Wiley X Aspect RXSunglasses flatter people with the following facial features: Wide Head. Wiley X Aspect RXSunglasses come with a cleaning cloth and protective carrying case.